Katie heard word of Boho Vans on Instagram, and immediately reached out to us about her situation. She had been working the “corporate world” for seven years with a startup that grew quickly into an IPO. Though she was comfortable and secure, she knew this wasn’t the life she wanted to live forever. Katie just wanted to live a more simple, but adventurous life. 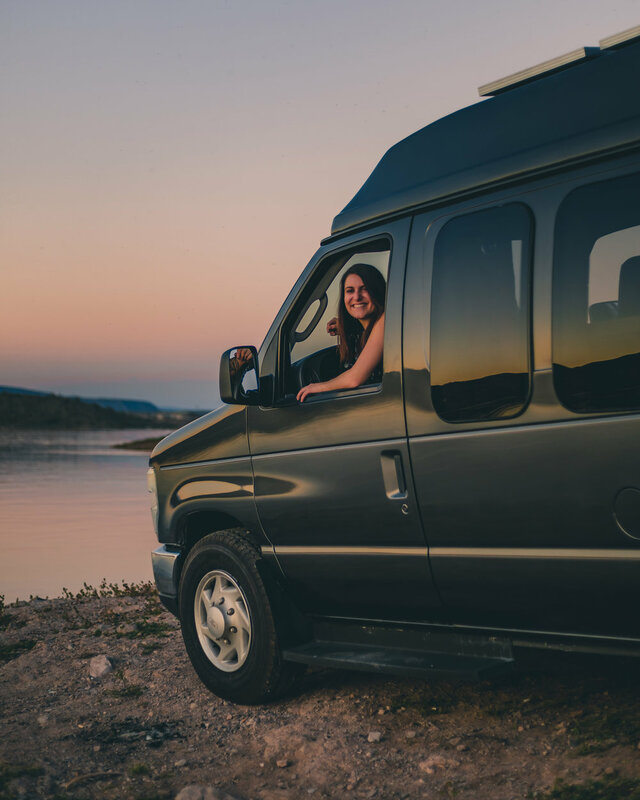 Flo was built with Katie’s needs in mind as she planned on living full-time in her van. The high-top provided extra headspace, while a passenger-side cabinet and above driver-seat shelf granted extra storage for belongings including a portable toilet with hidden access. 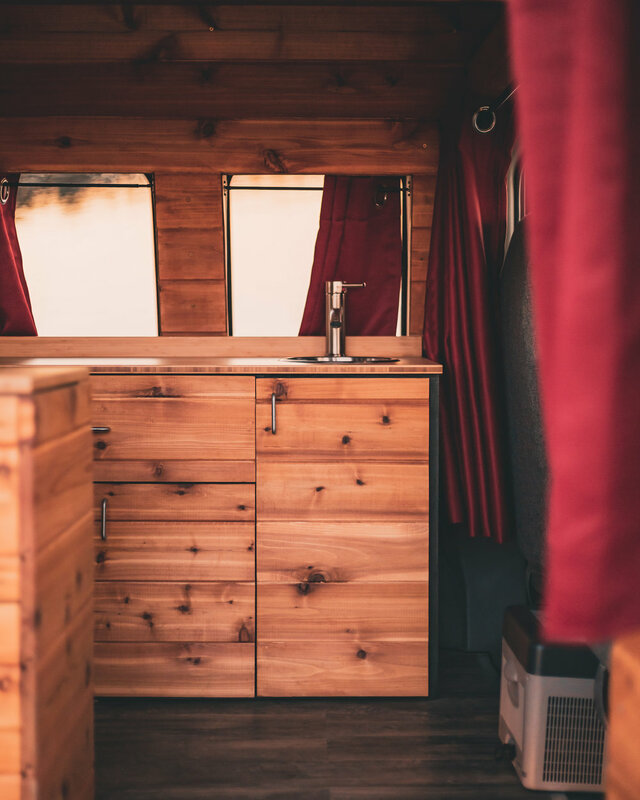 The van was finished with red cedar, a natural bug-deterrent, and bamboo countertops were used throughout. Her unique “church windows” were adorned with showtime red curtains. Katie’s original van was white (with San Jose Transit decals) - so we upgraded to a Dark Shadow Gun Metal Grey, keeping the outside tough while maintaining the interior boho-vibe. Once completed, Katie picked up her beloved “Flo” before trekking on a San Diego to Boston road trip. 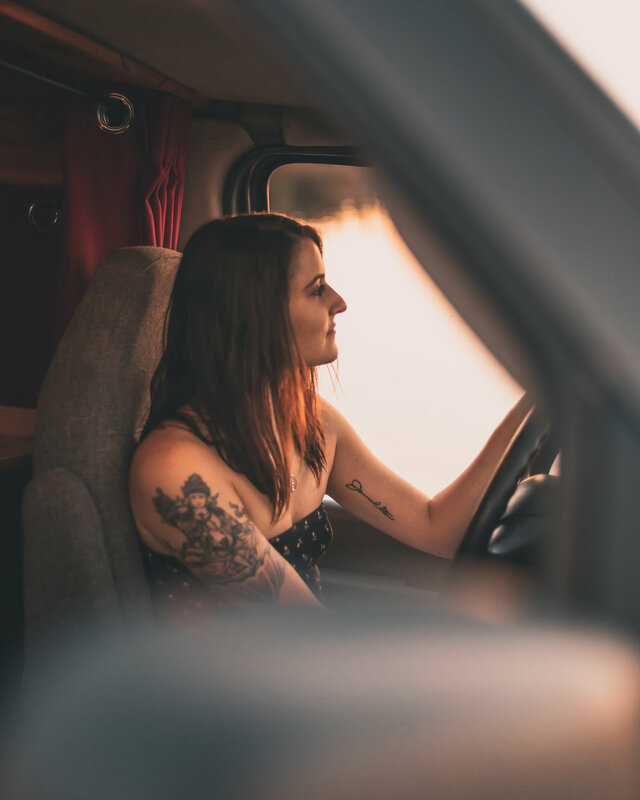 Her van life officially starts following her yoga training in India - where she will expand her knowledge of self and flow.